New York: A.S. Barnes and Company, 1958. Hardcover. Small 4to. Black cloth with silver spine lettering, pictorial dust jacket. xii, 226pp. 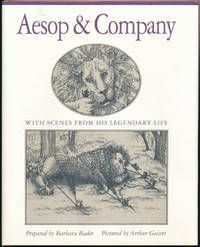 Frontispiece, extensive illustrations, pictorial endpapers. Near fine/very good. Book fine but for age toned front endpaper from long-ago newsprint contact; jacket bright and nice though faintly edgeworn, with single large chip at head of spine. 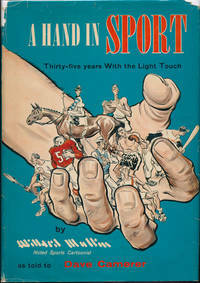 A handsome and tight first edition (and superb presentation copy inscribed to a sports figure who appears in it) of this collection of sports cartoons by the highly influential syndicated American newspaper sports cartoonist (1902-78) best known for the Brooklyn Dodgers persona called the "Brooklyn Bum." Below the frontispiece portrait showing him drawing, he boldly inscribes and signs in blue ballpoint "To / Red Reeder, King of the / Literary Frontier, from / one of his subjects -- / Willard Mullin." Near the top of the title page, recipient Reeder likewise inscribes and signs in blue ballpoint: "Willard was designated / 'Cartoonist of the Century' / in 1970 / by his fellow cartoonists. / Red Reeder." The pictorial front endpaper is chock full of 33 tiny Mullin head caricatures of sports figures surrounded by the cartoon-y names of all those featured in this book, and the name "Red Reeder" appears among these at the center right margin, so presumably he appears somewhere within the volume; someone (likely Reeder himself) has filled in about 35 of these 100+ names in red crayon -- perhaps at random, more likely persons he knew personally. Russell "Red" Reeder (1902-98) was a West Pointer with a notable career in World War Two as a colonel commanding the 12th Infantry Regiment of the Fourth Infantry Division, leading 3,000 troops on Utah Beach during D-Day and losing a leg at the Battle of Normandy; post-war he became athletic director at West Point for twenty years, then authored a number of young adult nonfiction books such as "The West Point Story," "Medal of Honor Heroes," "The Civil War Story" and others. An outstanding presentation copy. Boston: James R. Osgood and Company, 1878. Hardcover. Small 4to. Emerald green cloth with gilt and black lettering and decorations. 69pp. All edges gilt. Tissue-guarded frontispiece and numerous tissue-guarded full-page plates. Very good. Quite mild binding edgewear, else internally near fine; small inkstamped ownership name on inner flyleaf. A tight and nice later printing of this 1875 study of "The Visitation," two versions of "The Holy Family," "The Madonna of the Fish" and "The Bearing of the Cross." New York: Something Else Press, 1965. Hardcover. 8vo. Teal blue cloth with gilt spine lettering, pictorial dust jacket. 145pp. Numerous illustrations. Very good/very good. Jacket a bit edgeworn; four pages have a small bit of yellow highlighting, else near fine. A tight and decent first edition of this important text about performance art by the avant-garde American/Norwegian artist (1927-95) considered one of the major proponents of this artistic movement. Interestingly, front and inner flyleaf bear the circular blind-embossed ownership imprint of well-known television character actor Robert Casper (b. 1924). Vancouver, Canada: Douglas & McIntyre, 1994. Hardcover. Small 4to. White cloth with silver spine lettering, pictorial dust jacket. 253pp. Extensive illustrations (some color). Fine/near fine. Jacket spine slightly sunned. 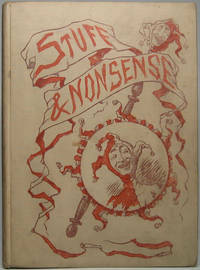 A tight and handsome first edition of this definitive and superbly-illustrated study. Boston: Houghton Mifflin Company, 1991. Hardcover. Illustrations by Arthur Geisert. Small 4to. Lavender cloth spine with gilt lettering and lavender paper over boards with gilt decoration, pictorial dust jacket. 64pp. Numerous illustrations. Fine/near fine. Handsome, tight first edition of this retelling of the ancient Greek fables, illustrated with Geisert's delightful engravings. Boldly signed and inscribed by him in black ballpoint on title page: "To Bud & Joan / Arthur Geisert / XI/II/MCMXCI." Pigs from A to Z.
Boston: Houghton Mifflin Company, 1986. Hardcover. 4to. Tan cloth with gilt spine lettering and decoration, pictorial dust jacket. (58pp). Numerous full-page illustrations. Fine/near fine. Tight and handsome third printing of this delightful ABC book in which a cast of bovines build a tree house. 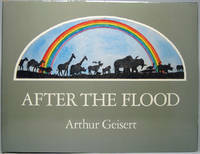 Boldly signed and inscribed by the author in black fineline on title page: "To Bud & Joan / Arthur Geisert / 5/7/91." An outstanding example of the engraver's art -- and seldom seen signed. Boston: Houghton Mifflin Company, 1994. Hardcover. Wide small 4to. Tan cloth spine with gilt lettering and green paper over boards, pictorial dust jacket. 32pp. Extensive full-page color illustrations. Fine/near fine. 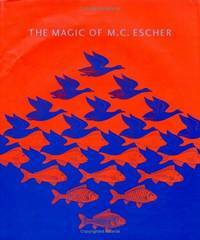 Pristinely tight and attractive first edition of this delightful tale told largely through color etchings. Boldly signed by Geisert in black ballpoint on title page. Boston: Houghton Mifflin Company, 1991. Hardcover. Wide 12mo. Blue cloth spine with copper lettering and green paper over boards with copper decoration, pictorial dust jacket. [30pp]. Extensive full-page partly-color illustrations. Fine/very good. Mildest of jacket edgewear. 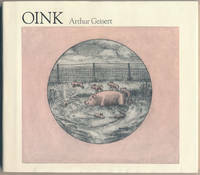 Quite tight and lovely first edition of this quaint pig's tale told cleverly through color etchings and one-word dialogue. Boldly signed and inscribed by Geisert in black ballpoint on title page: "To Bud & Joan / Arthur Geisert / 5/4/91." An extraordinary showcase of the art of etching. Cologne: Orangerie, 1973. Hardcover. 4to. Tan cloth with orange lettering, pictorial dust jacket. (Ca. 100pp). Numerous illustrations, tipped-in color plates, 3 (out of 4) color lithographs laid into pocket on rear pastedown. Fine/very good. Minor jacket edgewear. 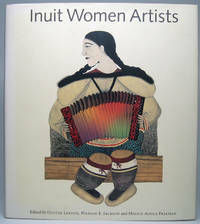 A tight and sharp first edition of this study of the work of this Bolivian-born artist (born 1935). The 3 laid-in lithographs in rear pocket (out of 4) are bright and pristine. Famous Water-Colour Painters: W. Russell Flint, A.R.A. London: "The Studio" Limited, 1928. Hardcover. Introduction by G.S. Sandilands. 4to. Terra cotta paper over boards with paper label. 8pp. 8 captioned tissue-guarded tipped-in color plates. Very good. Internally near fine, though binding a bit rubbed and scuffed and bearing ½" chip at head of spine. A tight and decent first edition of the second volume in this multi-volume series covering different artists. Best of all, front flyleaf bears the large and bold signature in brown ink of Hungarian-born American art director Paul Groesse (1906-87), winner of three Academy Awards in the Best Art Direction category (for 1940s "Pride and Prejudice," 1946's "The Yearling" and 1949's "Little Women"). Bentveld, Netherlands: Harry N. Abrams, Inc, 1967. Hardcover. 4to. Grey cloth with gilt lettering and black pictorial stamping, as-issued clear mylar wrapper. 244pp. Extensive illustrations, tipped-in color plates. Near fine. A tight, handsome later printing of this hefty classic. New York: Thomas Y. Crowell Company, 1978. Hardcover. Wide 8vo. White glossy paper over boards with black spine lettering, pictorial price-clipped dust jacket. 95pp. Extensive line drawings. Near fine/very good. Mild jacket edgewear. Tight, handsome "Portfolio Edition," the first of the enlarged edition of Sloane's 1974 "salute to those giants of American black and white illustration who inspired him...."
New York: Harry N. Abrams, Inc, 2000. Hardcover. Introduction by J.L. 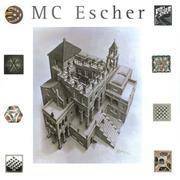 Locher. 4to. Red patterned cloth with white and orange spine lettering, pictorial dust jacket. 196pp. Foldout frontispiece, foldout title page, extensive illustrations (many color), decorative endpapers. Near fine/near fine. A superb first edition, tight and bright. Freeport, IL: W.T. Rawleigh, 1930. Hardcover. Small 4to. Green textured cloth with gilt lettering. 291pp, xi, (8pp). Illustrations. Near fine. A tight and attractive first edition of this history of the creation of sculptor Leonard Crunelle's moving statue of Lincoln, erected in Freeport on the 71st anniversary of the Lincoln-Douglas debate held there. Front board intones in gilt, "The Fate of a Nation Was Decided at Freeport." Suntitle continues, "Containing Addresses Delivered at Unveiling, List of Exhibits Displayed, Account of Lincoln-Douglas Debate, Etc." Much speechifying from notable locals and Lincoln luminaries. New York: Charles Scribner's Sons, 1888. Hardcover. Small 4to. Off-white cloth with red and brown lettering and pictorial stamping. 95pp. 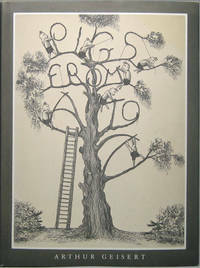 Pictorial title page, numerous line drawings, decorative endpapers. Very good. Mild edgewear and faint soiling, with several small stains on rear board, else internally fine; 1902 ownership signature on title page. A tight and attractive apparent first of the enlarged, revised edition of Frost's 1884 true first edition -- the first work he both authored and illustrated. Some copies of this edition note pictorial green cloth (matching the 1884 true first edition), others this off-white cloth, but whether green has priority as it matches the 1884 binding is unclear. 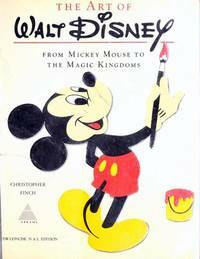 Cobham, UK: TAJ Books, 2003. Hardcover. Square folio. Glossy pictorial paper over boards, pictorial dust jacket. 96pp. Extensive illustrations (some color). Fine/near fine. Superb and tight first edition of this slim but large study of the bafflingly brilliant work of this Dutch graphic artist. New York: Harry N. Abrams, 1975. Paperback. 4to. Stiff glossy pictorial wrappers. 160pp. Folding, illustrated title page, numerous illustrations (most color, one folding). Near fine. First softbound edition -- the "New Concise N A L Edition" (New American Library), tight and attractive. New York: The Wise-Parslow Company, 1943. Hardcover. Small 4to. Terra cotta cloth with blue lettering. xix, 415pp. Engraved frontispiece and title page, extensive illustrations. Very good. Mild edgewear. First trade edition, tight and attractive. 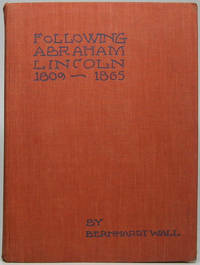 Wall issued 85 slim portfolios of engravings highlighting various facets of Lincoln's life over the course of many years, and this volume combines them all under one thick roof. The many illustrations appear in tan, yellow, green and other earth tones, and Wall's engravings of countless Lincoln sites are unfailingly charming and evocative. Front pastedown bears Lincoln-theme bookplate of Marshall D. Landis and front flyleaf bears Lincoln Group of New York membership card for Ralph G. Newman (1912-98), noted Lincolnist and founder of Chicago's famed Abraham Lincoln Book Shop. Washington, DC: United States Postal Service, 1984. Hardcover. Wide 4to. Blue leatherette spine and blue cloth with gilt lettering and decoration, pictorial dust jacket. 76pp. Numerous color illustrations. Fine/near fine. A superb, tight first edition of what's really a study of "Paintings and 1984 Olympic postal designs by Robert Peak" -- Peak (1927-92) being the famed and prolific artist/illustrator responsible for a large number of iconic film posters, memorable national magazine covers -- and postage stamps. 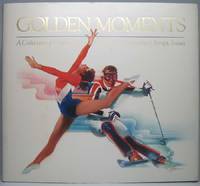 This copy bears (affixed to front and rear pastedowns, as intended) the clear sleeves displaying a set of his Olympic stamps and postal cards -- AND best of all this copy has been extra-illustrated with autograph items from four of these athletes profiled and depicted in Peak paintings. In order: Page 20 bears a fine heavy stock 5" X 3" card boldly signed "Parry O'Brien / May 13, 1985" in blue ballpoint affixed to lower left corner of the full-page illustration of this gold medal-winning shot put champion (1932-2007); page 64 bears a similar card boldly signed "4-27-85 / Eric Heiden" in blue ballpoint affixed to upper left corner of the full-page illustration of the famed speed skater (born 1958); page 66 bears a fine 3½" X 5½" glossy photograph of Christopher Dean (born 1958) and Jayne Torvill (born 1957) in costumed pose affixed to lower left corner of the full-page illustration, signed boldly by the renowned ice dancing team on the blank lower margin in black fineline; and lastly page 69 bears a fine heavy stock 5" X 3" card boldly signed "2.2.88 / Herb Brooks" (1937-2003) in blue fineline affixed to lower right corner of the full-page illustration of this coach's legendary hockey team. Original transmittal envelopes of all four extra-illustrations are laid in. A unique copy.